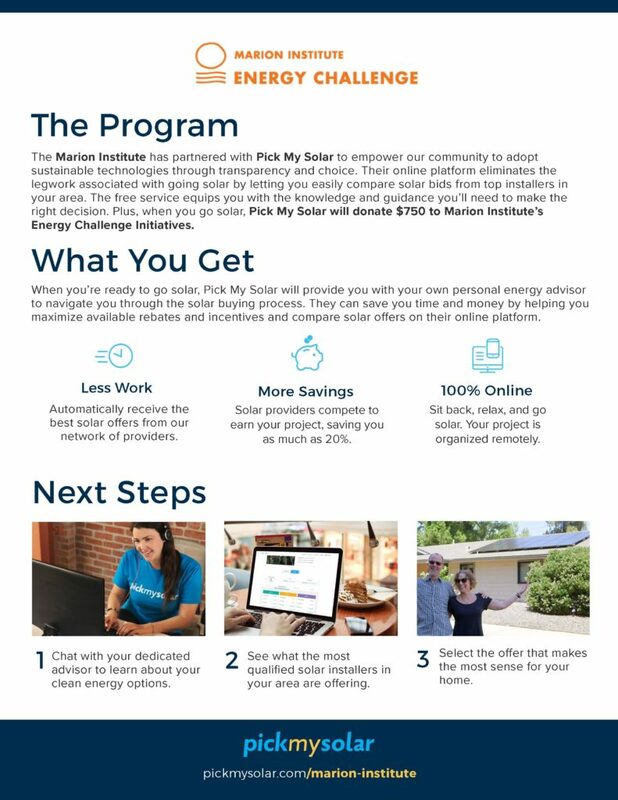 Southcoast Energy Challenge (SEC) has once again teamed up with Pick My Solar to bring you the best Solar purchasing experience! If you decide to go Solar; roof-top Solar or Community Solar, Pick My Solar will make a donation to SEC; this helps us to continue to advocate for Low-Moderate Income residents to have better access to Energy Efficiency programs and Clean Energy. The donation will also help SEC have a robust volunteer program that works with students from New Bedford High School, exposing them to Energy Efficiency programs and the Clean Energy industry. Start the process now with Pick My Solar. Pick My Solar is bringing transparency to the chaotic market of residential solar. Going solar can be an overwhelming process for a homeowner. There are over 5,000 panel modules, dozens of inverter brands, 1,000’s of installers, and a handful of very different financing options. Pick My Solar provides free expert advice to sort through this mess for the homeowner. We analyze utility bills to size systems, work with the homeowner for panel placement on the roof design, and use our extensive database of previous bids to provide the homeowner with very accurate projections of their costs and savings. If a homeowner likes what they see, we post their project to our live bidding platform for our network of vetted installers to bid on. We’ll receive bids from up to a dozen installers, and our learning algorithms determine the top three best overall value systems to present to the homeowner. The factors our algorithm considers ranges from warranties, to quality, to price. For each installer we have an internal rating score that also factors into the selection. The three bids presented to the homeowner come complete with expert advice on why each are recommended. When the homeowner is ready, they can request a contract, which we facilitate the signing online. Our service is completely free for homeowners. The bids we receive for our customers are 20% below market average. We’re able to do this by creating direct competition amongst solar installers and by reducing customer acquisition costs. We eliminate pre-sale site visits and we have replaced the salesman. We charge a flat fee to installers, only on projects they install, and at a rate much less than they would typically pay on sales commissions and marketing and advertising costs – these savings are passed on to the homeowner. To place a bid on our system it takes an installer just 5 minutes and we have close ratios double our nearest competitors. Our installer network consists of over 100 installers throughout California, Washington, New York, New Jersey, and Massachusetts. We have become a sales channel for many installers without them having to invest any money upfront. Pick My Solar is truly looking out for the best interest of the homeowner. We approach sales in a pressure-free manner and find homeowners the best deal on the market through our installer network. Ultimately Pick My Solar provides homeowners with a hassle-free solar experience. Program participants who visit the Marion Institute Clean Energy web portal will be prompted to enter their address to see if they are located in the program area. If they are, they will receive cost and savings estimates for a solar project on their property as well as various financing options available through the program. The estimates calculator will also display the anticipated carbon offset associated with the solar system, the equivalent avoided vehicle miles driven, equivalent trees planted, and added value to the property. If the participant is interested, they can proceed to the next page to create their account and schedule a call with a Pick My Solar Energy Advisor. The Energy Advisor will go over the details of the Marion Institute solar program and ask exploratory questions about the solar project, including questions about planned additional energy usage, main service panel rating (amperage), roof type and quality, and household income or credit rating to determine incentive eligibility. After the call the Energy Advisor will request a copy of the most recent electric bill (via UtilityAPI login or actual copy of bill) and picture of the main service panel. Once Pick My Solar has these items, the Pick My Solar engineering team will design the system in Aurora using satellite imagery and model the production. This production value factors in anticipated shading and will be used for the 1st year production guarantee. At this point, the project will be posted live on Pick My Solar’s installer portal for our network of solar contractors to bid on the project. Participating installers can offer whatever equipment they would like (provided it is in our system). 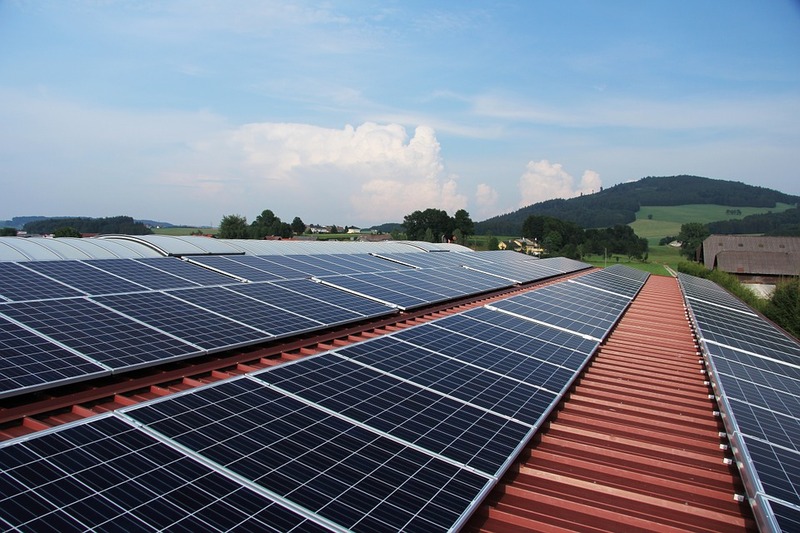 This includes solar panels, inverters, racking (what holds the panels to the structure), warranties, and more. These bids are then evaluated by Pick My Solar’s bid analysis software where we rank and score each offer on dozens of factors including price, production, equipment quality, customer satisfaction scores, etc. The top three offers are then presented to the customer for review with the Energy Advisor. Once the customer selects an offer, Pick My Solar will generate a contract to be first reviewed by the installer and then by the customer. Once the contract is signed by both parties, a site visit will be scheduled to confirm Pick My Solar’s designs and production estimates. The installer then completes all permitting and interconnection paperwork, completes the installation, and activates the system. This process can take up to 90 days. Pick My Solar will follow up with the client throughout the installation process and solicit feedback after the installation is completed and the system is turned on.